We continue discussions with our NZ plastic pot manufacturer about integrating post consumer polypropylene waste into our plastic pots and lids. After much debate and brainstorming, we regret to advise it is not a viable option as the post consumer #5 plastic available is not deemed food safe. We appreciate this is contrary to what other grocery manufacturers packaged in other plastic types (like PET) have been promoting. Food safety is of paramount concern to us. We have debated moving to alternate packaging types. We recognise that while glass has the advantage of being easily recyclable, it is more energy intensive to make and freight than our plastic pots. Our plastic pots are manufactured locally in the South Island and shipped a short distance to us. Anathoth Farm upgraded its Polypropylene pot in 2013 and reduced the plastic in each pot by 12%. The current pot is up to 10 times lighter than a glass jar equivalent. It occupies potentially 7-8 times less volume than glass when packed and shipped empty (prior to filling). These two factors combined mean a significant improvement in freight resource and the carbon footprint generated by the transportation of this packaging type. We continue to work on taking a holistic view about our impact on our environment. 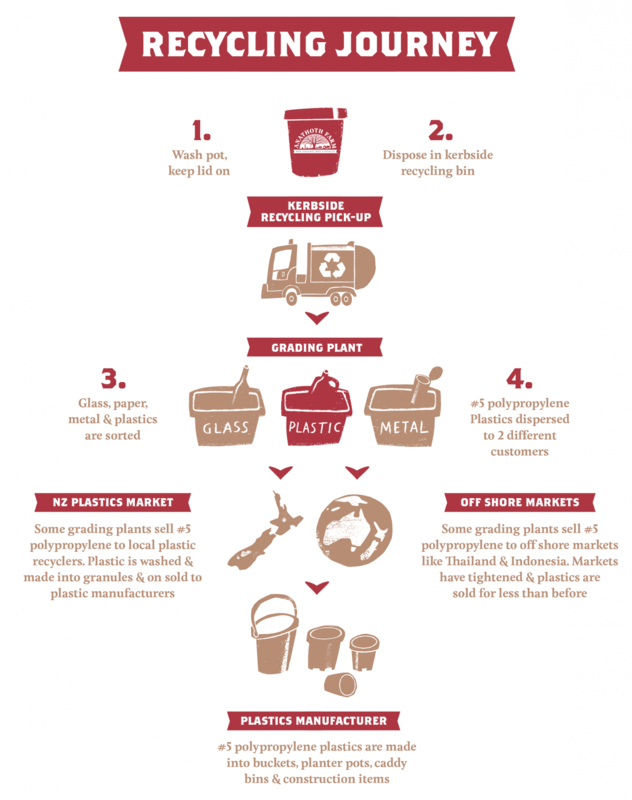 In Geraldine we continue to recycle and review current practices to see whether we can be making better choices. All new projects take sustainability into consideration as we navigate our way towards focussing on doing things better. We continue to focus on finding a sustainable, long term solution and listen and engage with our customers. Thank you for your support. If you would like to contact us at any time to share feedback please email jammaker@anathoth.co.nz.